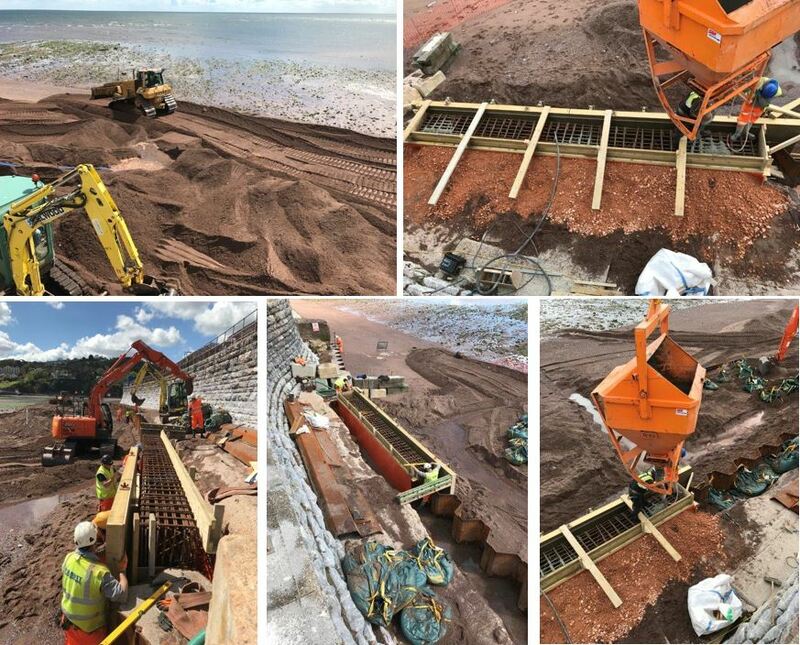 TMS are still hard at work in Teignmouth replacing and reinforcing the toe of the sea wall, here are some pictures showing works carried out over the last couple of weeks. 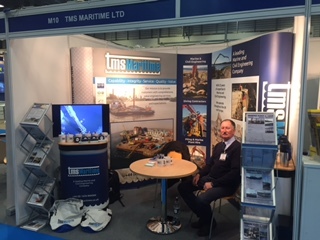 TMS are currently at Peterborough Arena for the Floodex UK Exhibition, go and have a chat with Bill & Richard at Stand M10. TMS were awarded the contract to install a new fender on the end of Millbay Pier. 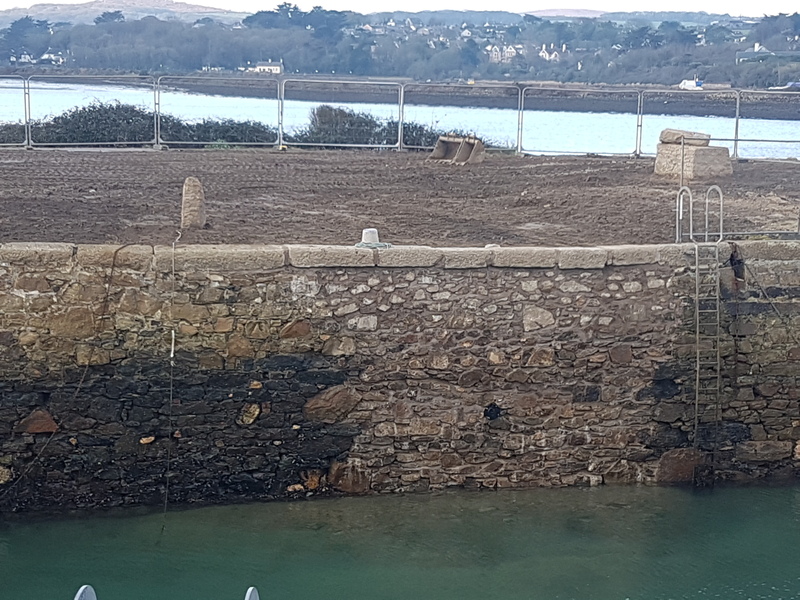 The contract comprised of core drilling the sockets for the fender anchors, fixing together the fender panels and rubbers, and finally positioning the fender on the pier wall. 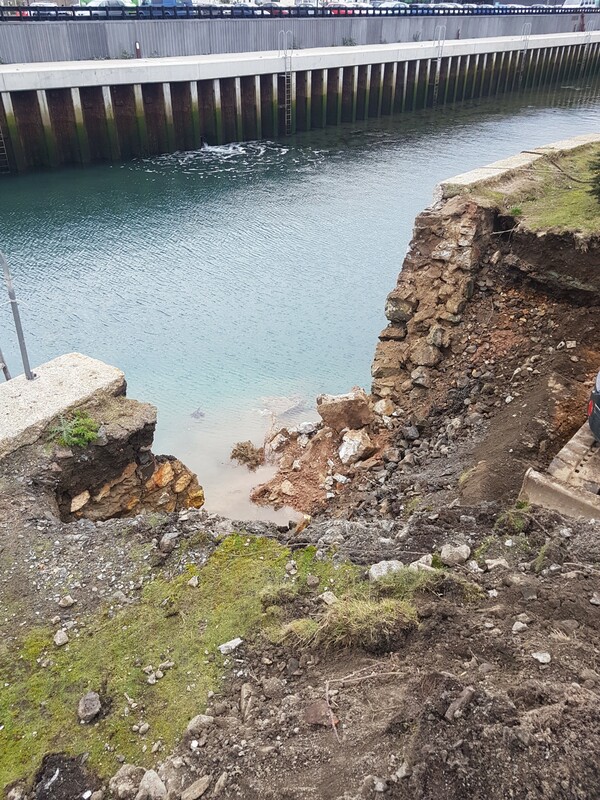 The work took place at two locations – Millbay Pier and West Wharf in Plymouth. 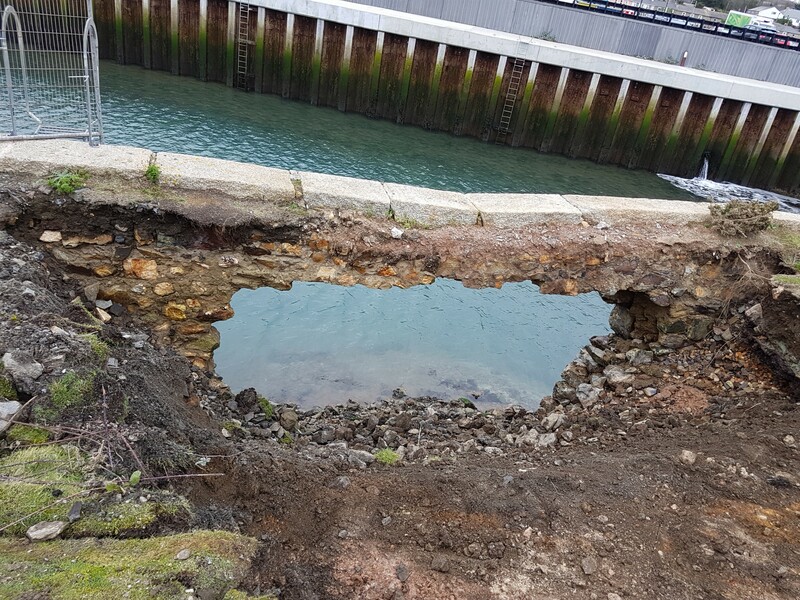 Wall anchors were installed at Millbay Pier in preparation for the fender, before the fender was fixed together at West Wharf. 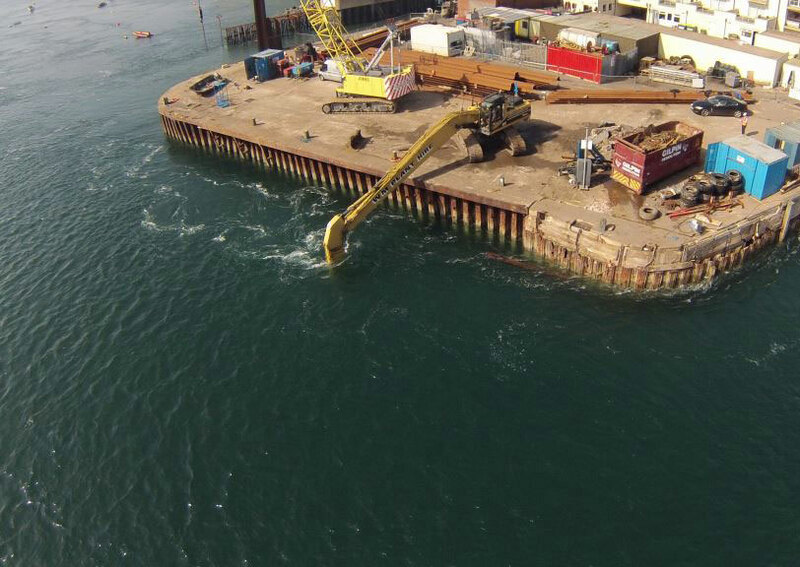 Once the anchors had been installed and the fender was constructed, the fender was placed on a jack-up barge, the Aran 250, along with a 150 Tonne crane and transported to the end of Millbay Pier. The fender was then fixed to the wall. The works took approximately 4 weeks to complete from start to finish. 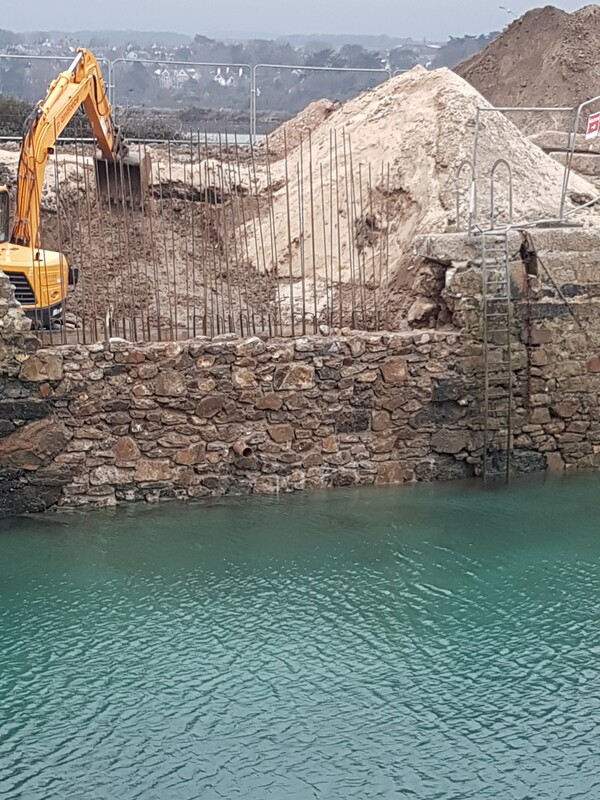 TMS were working in Hayle last week rebuilding a breach in the harbour wall, the wall has been reinforced with concrete & the original stone has been used to build the wall back to its former glory.